(Text automatically translated) Grand-Bornand village recent double chalet with panoramic views of the peaks of the Aravis and the Spinner. Cottage adjoining the owners with housing a cottage of 53 m² + 10 m² attic, 4 rooms, classified 3 ears lodging of France. Its quiet, its proximity to the center of the resort, the charm of its decoration make it a favorite spot. At the first level, open kitchen, bathroom, outdoor terrace. Upstairs, two attic bedrooms each with 1 double bed (140). Floor + 1/2 level, small room with bunk beds, shower, towel radiator, hair dryer, WC. Quality service. WIFI internet access. Without supplement (except short stay): heated ski deposit at the foot of the gondola Rosay. Lifts accessible by free ski bus. Ski bus stop about 300 m. Portico of games. The owner was very helpful. The chalet was very comfortable and near to the slopes. It was a real bonus having the use of ski locker beside the telecabine. Would definitely come back to this chalet. 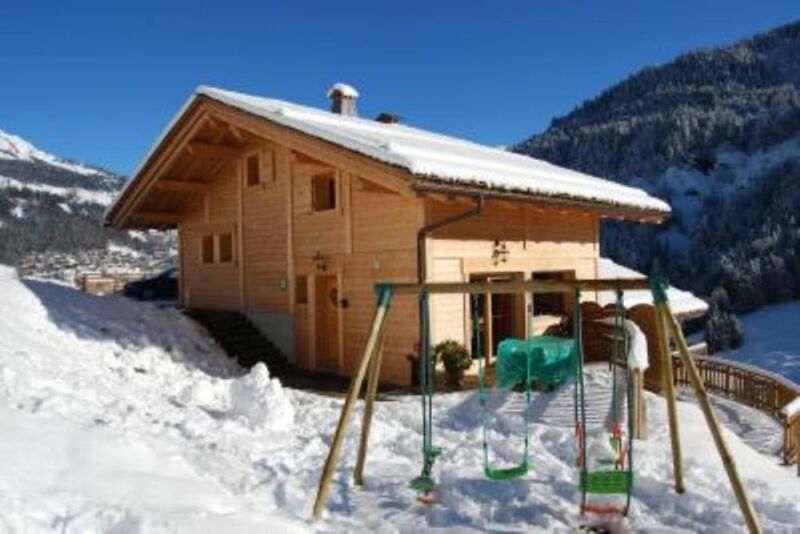 chalet confortable pour 4 adultes et 2 enfants avec visite des chevreuils tous les jours. Très bon séjour au grand bornand. Schönes Chalet - ruhig gelegen. Wir haben hier mit 4 Erwachsenen und einem Hund eine sehr schöne Woche verbracht. Das Chalet ist urig eingerichtet, liegt wunderbar ruhig und bietet eine fantastische Aussicht auf die Berge.Die Vermieterin ist sehr freundlich . Von hier aus kann man Ausflüge nach Annecy und den Mont Blanc machen. Vielen Dank für die erholsamen Tage. Wir würden gerne wiederkommen! It has been a pleasure to welcome you. Un très bon accueil, une hôtesse à l'écoute, une très belle région, des vacances au top!